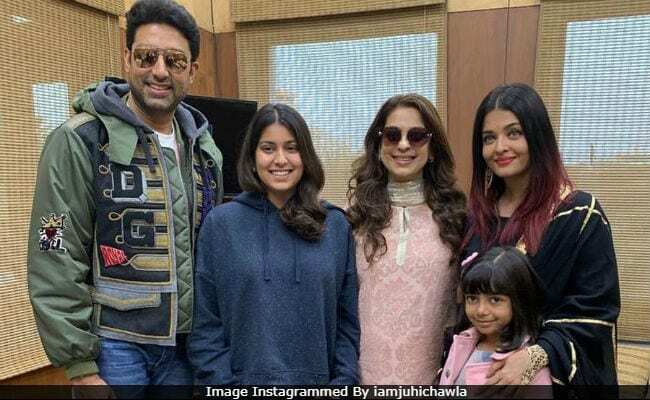 Actress Juhi Chawla treated her Instafam to a picture of herself and daughter Jahnavi with Aishwarya Rai, Abhishek Bachchan and their daughter Aaradhya. The picture appears to be taken at Udaipur airport, where these celebs attended Isha Ambani and Anand Piramal's pre-wedding festivities over the weekend. "On our way back from the Piramal-Ambani functions at Udaipur. And, here we are all smiles with the Bachchan family. Aaradhya is such a doll," Juhi Chawla captioned her post. Aaradhya looks cute as a button in a pink dress, paired with a matching jacket. Aishwarya is seen in a black Indian outfit and Juhi in a pink salwar kameez set. Aishwarya, Abhishek and Aaradhya returned to Mumbai on Monday night. 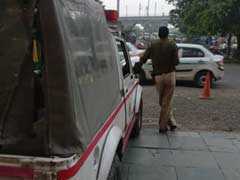 Jaya Bachchan also accompanied them to Udaipur. At the festivities, Aishwarya and Abhishek performed on stage to their film Guru song Tere Bina. Many videos of the couple dancing with newlyweds Deepika Padukone and Ranveer Singh have also gone viral. (Aaradhya danced too). The Ambani and Piramal families hosted the wedding functions of Isha and Anand in Udaipur for two days. The festivities were attended by several A-listers of Bollywood apart from the Bachchans, the Khans and others. Former US Secretary of State Hillary Clinton was also invited to the party. Pop star Beyonce flew down to Udaipur too. She performed on Sunday night. Isha Ambani and Anand Piramal will marry on December 12 in Mumbai. The wedding ceremony will reportedly be an extremely private affair.